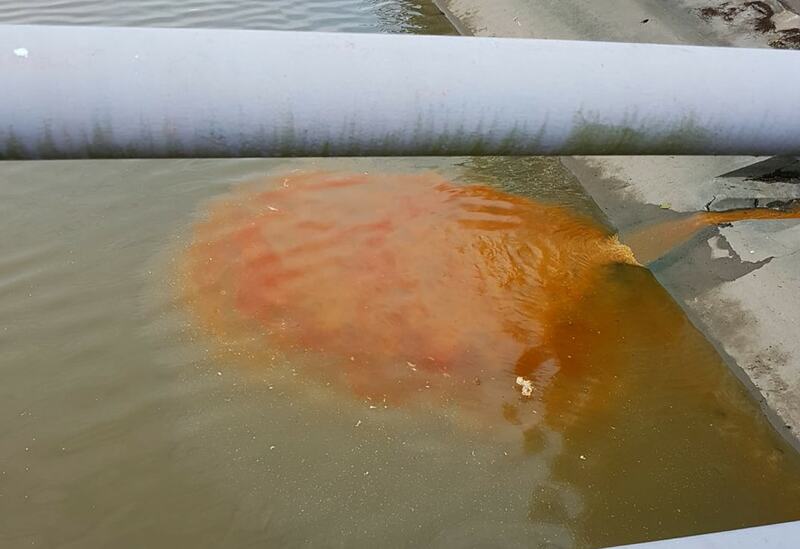 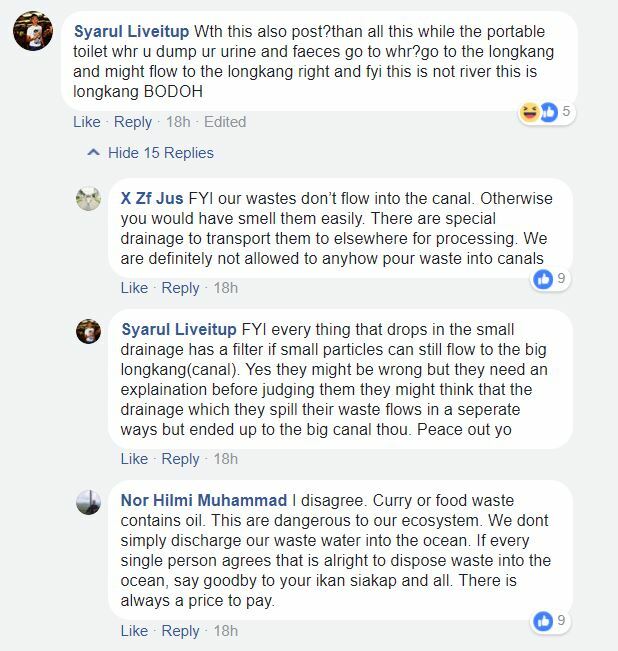 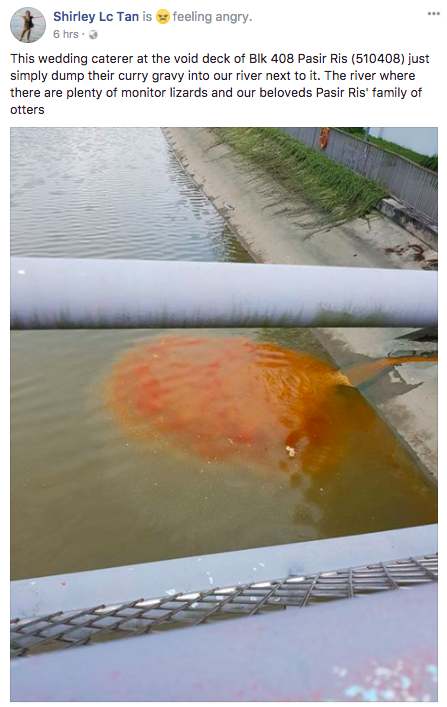 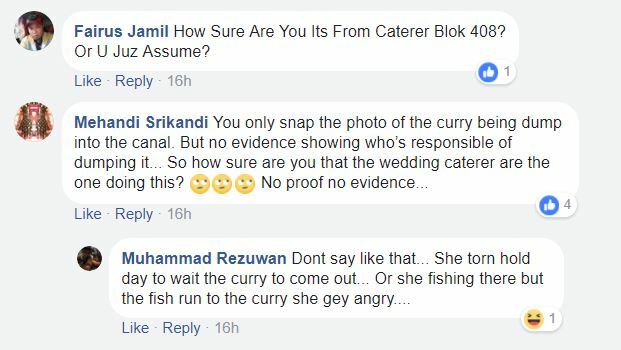 Some netizens have become embroiled in a heated debate online after Facebook user Shirley Lc Tan uploaded a photo on the social media site and alleged that a wedding caterer had dumped leftover curry into the Tampines river. 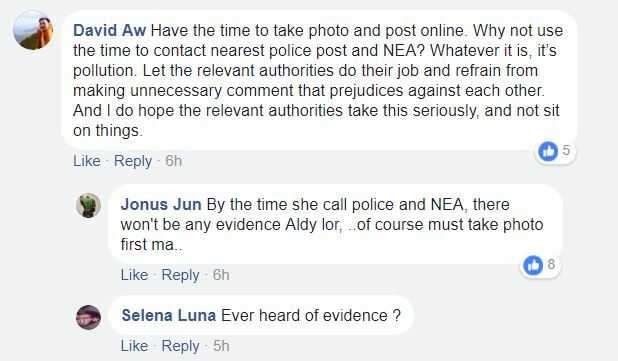 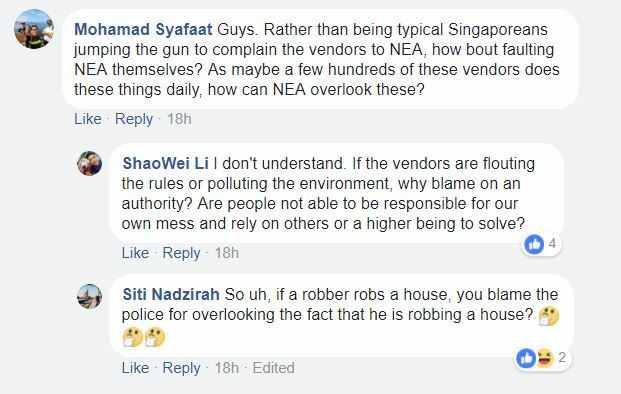 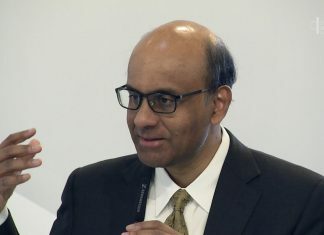 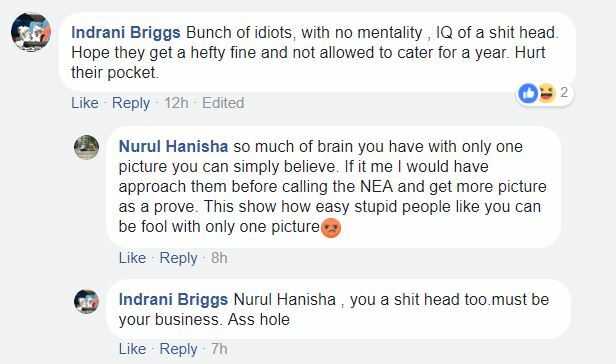 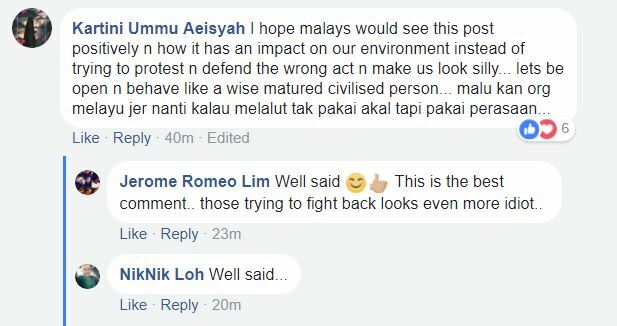 In a comment on the same post, Tan revealed that she has already reported the matter to the National Environmental Agency (NEA), while another netizen, Lisa Lim, added that she also notified NEA and the Public Utilities Board which is in charge of Singapore’s reservoirs and waterways. 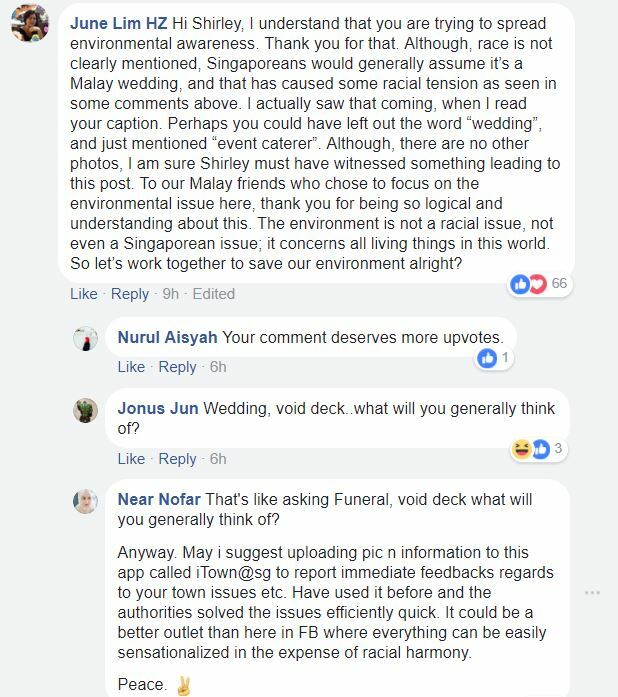 The post quickly went viral online – but not for all the right reasons. 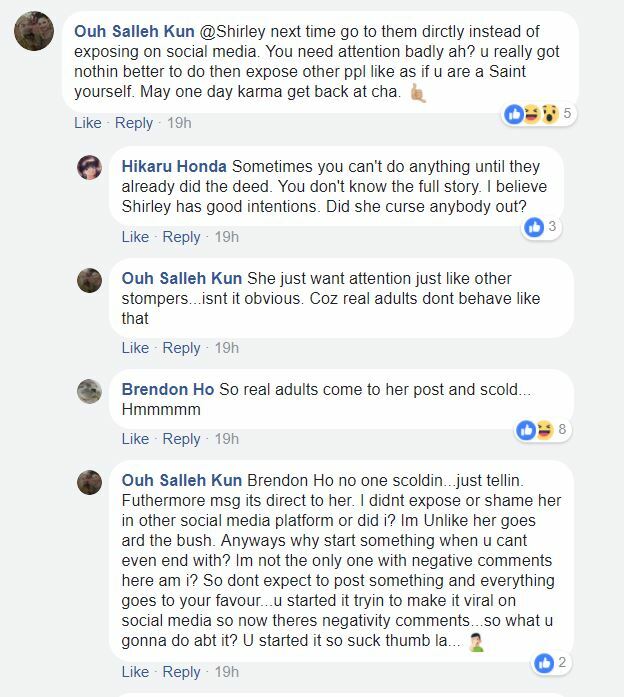 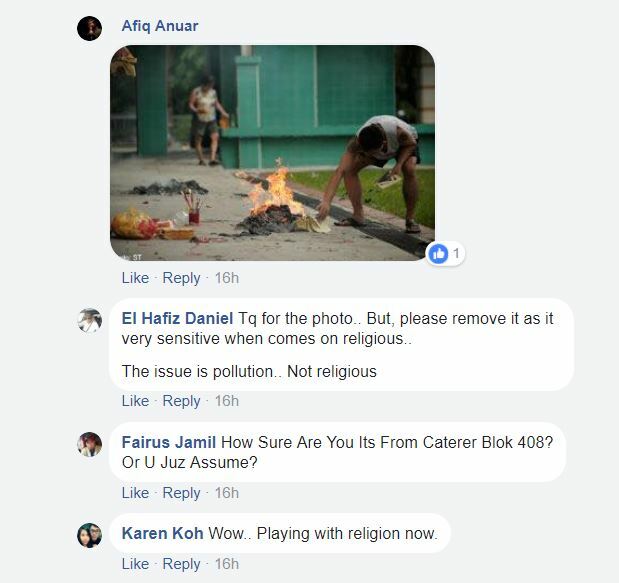 While some netizens praised Tan for highlighting the issue, many others criticised her for her post. 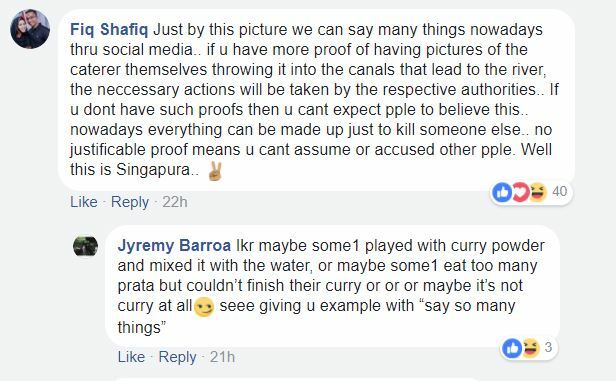 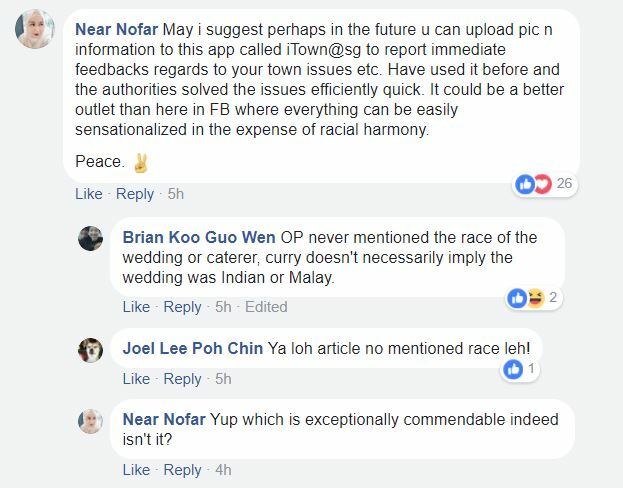 It appears that Tan’s allegation that the curry came from a “wedding caterer at the void deck” of a HDB block has rubbed some people the wrong way. 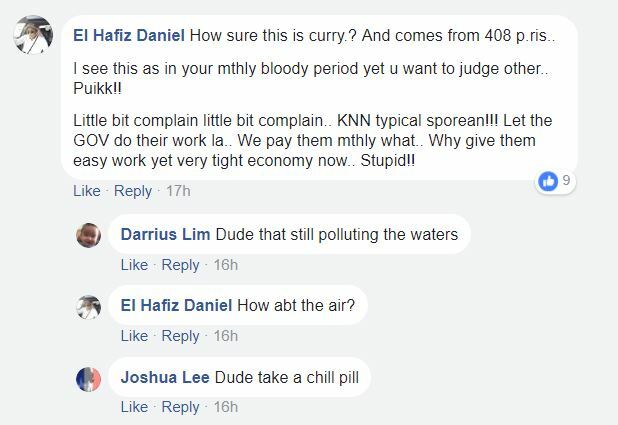 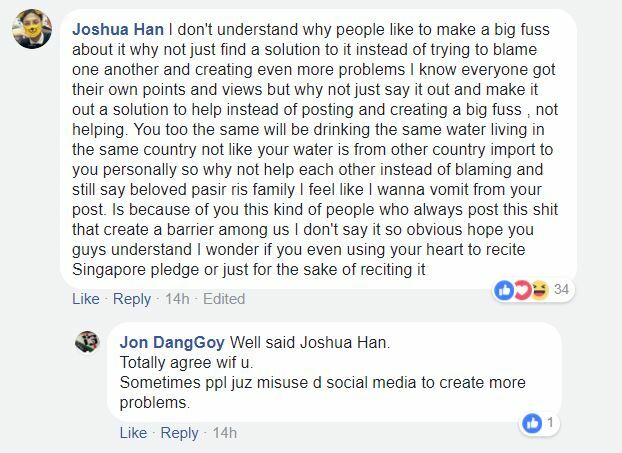 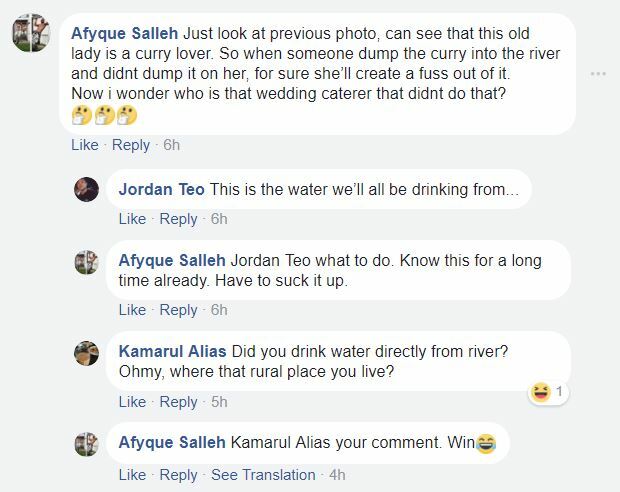 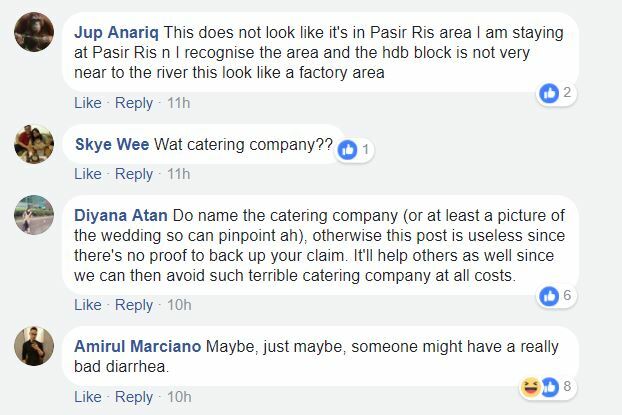 These netizens excoriated Tan for not having enough proof that it was a wedding caterer who dumped the curry into the river. 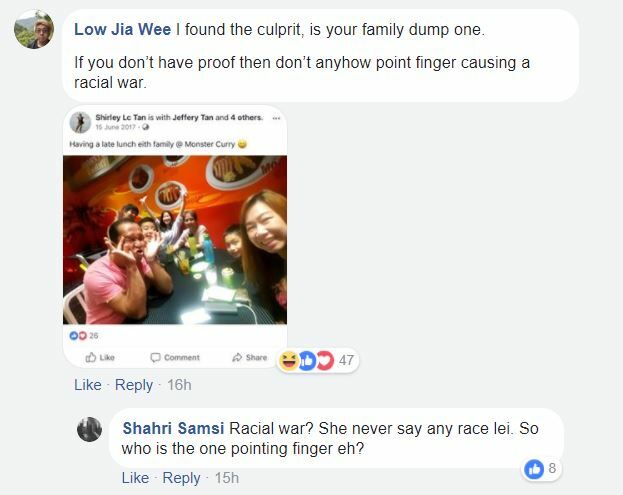 Others accused Tan of being a “cheap attention seeker” and of trying to create a “racial war”.